Wing girl blogger template for free download on Blogger Templates. For bloggers with very huge traffic, try out web server hosting if you are considering hosting your own blog with your own domain name. 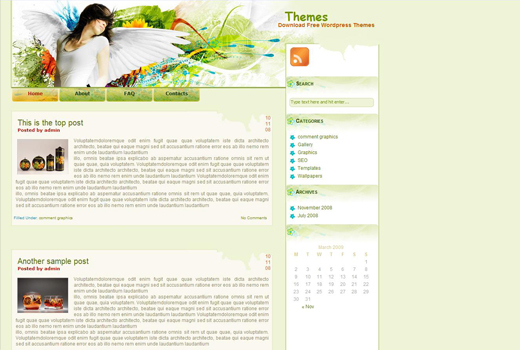 its such a beautiful template..perfect for my blog………. but m facing navigational problem..i cant move to dashboard…wen m on my blog page..can anybody please help me out?? To access the dashboard, you have to go to blogger dot com platform again and access your blog from there. hi admin i am having trouble with copying the template to my blogger site can you please help. Did you unzip the file you download from here first? You need to unzip it and you will find WingGirl.xml. Then go to Layout -> Edit HTML and upload WingGirl.xml and your good to go. Love this template, I mean, I ‘really’ love this template but…. could you give me some tips on how to redo the wording (font) in the header and how to adjust the date box to the side as this is showing ‘undefined’. Also, can I add my blogger widgets as normal now that the template is set up on my blog? Try changing Comic Sans MS to the font type you want and see if it works. As for the date showing as undefined. After login, go to Layout > Page Elements > edit Blog Posts > change time format to long date (e.g Wednesday, June 17, 2009). Remember, change time format NOT date format. It would be the 3rd field. Yes you can add your blog widgets. The title of my blog and description are being obscured by the giant RSS icon. Is there any way of fixing that? I like the font type and size, and I can’t seem to edit my title and description down small enough to fit above the icon. Where in the HTML do I fix the left margin for the date/timestamp that’s at the bottom of the post? It’s starting outside of the border. Attractive element of content. I simply stumbled upon your website and in accession capital to assert that I acquire actually loved account your weblog posts. Anyway I will be subscribing in your augment and even I success you get entry to persistently fast.